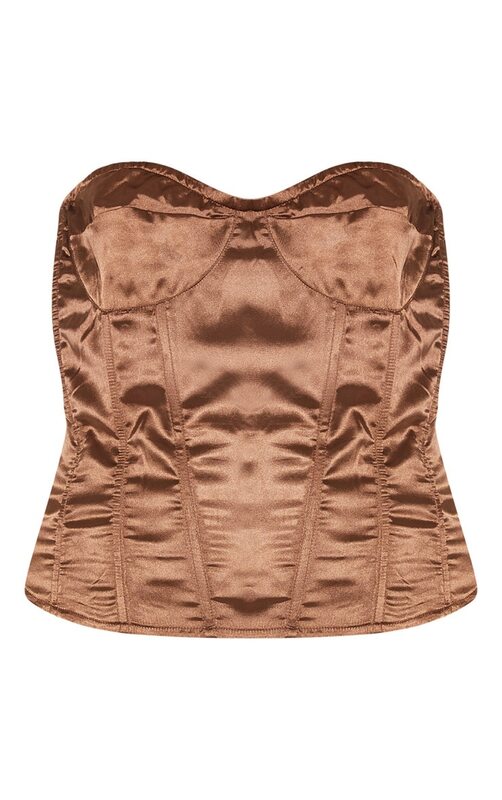 Give your look those sultry feels with this corset. Featuring a chocolate brown satin fabric, cup detailing and a zip fastening. We love this styled with a PU skirt and clear mules for an edgy outfit.